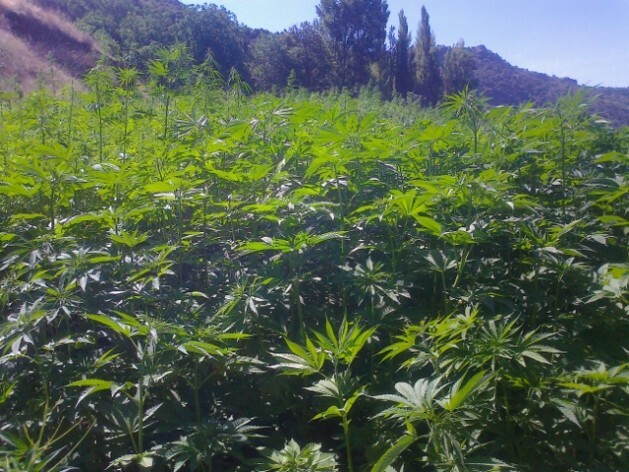 MALAGA, Spain, May 22 2014 (IPS) - Spain is experiencing a resurgence of hemp, one of the species of cannabis with the lowest THC content, which has been used for millennia to produce textile, medicinal and food products. The European Union allows the industrial and agricultural production of hemp with a concentration of tetrahydrocannabinol (THC) – the chief psychoactive constituent of marijuana – no higher than 0.2 percent. Varieties of cannabis sativa used to produce marijuana and hashish contain 0.5 to 10 percent THC. Royal Decree 1729/1999 of Nov. 12, 1999 authorises the cultivation of 25 varieties of industrial hemp in Spain and establishes guidelines to grant subsidies to producers of fibre flax and hemp. For thousands of years hemp was used to produce clothing, food and products like ship sails. And in Spain, hemp products experienced an upsurge during the country’s 1936-1939 civil war. But in 1937 the United States banned all cannabis, including hemp, to benefit the production of cotton and synthetic fibres. The age-old hemp industry collapsed, leading to a rural exodus of farmers who grew it. The final nail in the coffin in the United States was the 1970 Controlled Substances Act, in conjunction with international conventions. Chemist Josep María Funtané from Catalonia in northeastern Spain told IPS he discovered the therapeutic properties of hemp when he was diagnosed with cancer and found that it helped ease the side effects of chemotherapy. In 2011, in the Catalonian city of Barcelona, he founded Vitrovit, a company that produces medicinal products, cosmetics and fertilisers derived from hemp. Patients generally only need cannabis with the lowest levels of THC and the highest possible content of cannabidiol, a major, non-psychoactive constituent of cannabis with anti-inflammatory and analgesic effects. Funtané is drawing up a map of Spain to boost the recovery of the cultivation of industrial hemp, offering detailed information by community and province. Producers of industrial hemp, a fast-growing crop adaptable to most kinds of terrain, underscore its enormous potential and complain that they are subject to confiscation of merchandise and even arrest. On May 7, the authorities closed down a therapeutic grow-shop that sold cannabis-derived products in Calahorra, a town in the northern region of La Rioja. “Two civil guards showed up without a warrant and closed the shop,” the owner of the business, who only gave his first name, Dionisio, told IPS. There is “an epidemic of ignorance” about a crop whose growers even receive state subsidies, he argued. Arrillaga, like other producers who spoke to IPS, buys legally certified seeds from France, because Spain does not certify seeds. His seeds are planted by farmers in the southern region of Andalusía. He sells all parts of the hemp plant – seeds, leaves and stems – which are used to make “hemp milk” (a drink made from seeds that are soaked and ground into water), infusions, soap, and skincare products. “Hemp production could be a green revolution that would help reduce unemployment in rural areas in these times of economic crisis,” the president of the Spanish association of hemp producers (AEPTC), Fernando Montero, told IPS. The AEPTC was created in 2012 in the village of Bubión, in the heart of the La Alpujarra mountains in the southern Andalusían province of Granada. Montero, who sells hemp along with his son in their company LaKaraba, said that even though they “meticulously” comply with all of the legal requirements, they are always a bit nervous when they plant, for fear that the authorities will swoop in at any given moment. Civil guard lieutenant Pablo Cobo in the Andalusían city of Algeciras told IPS that “even though it isn’t what it looks like,” a package of industrial hemp has the same appearance and smell as marijuana. When the authorities find a shipment of a package of hemp leaves, the results of the analysis come up positive for THC, no matter how low the percentage. That automatically leads to confiscation of the product and the submission of a sample to the health authorities for a second lab test. “The problem is that the initial test and identification of the product by the authorities“ are not reliable and must be contrasted by a second test, a lawyer who asked to remain anonymous told IPS. And while the tests determine whether or not the cannabis complies with the legal limits for THC content, the product can languish in a warehouse for weeks or even months, Arrillaga complained. He also cited Juan Zurito, a Granada farmer who was arrested several times for crimes against public health, and who has been in prison since February. Spain is a signatory to the 1961 Single Convention on Narcotic Drugs, the 1971 Convention on Psychotropic Substances, and the 1988 United Nations Convention against Illicit Traffic in Narcotic Drugs and Psychotropic Substances, which ban the cultivation, production and sale of cannabis as a drug, but do not restrict the production of industrial hemp. Hemp fibre can be used to make clothing, rope and paper, while the oil from the seeds can be used to produce biofuel or animal feed. “What could be better than working with something so good,” argued López, of the Galihemp Cooperative, which will produce hemp pulp to make paper, using a special machine. The hemp sector faces numerous hurdles in Spain, where it is even hard to find hemp seed dehulling machines. In other EU countries like France, Germany or Austria, meanwhile, the number of hectares dedicated to hemp production is growing fast. Nevertheless, López believes industrial hemp has a “splendid” future in Spain and says she has “no doubt” that it will prosper, although she admits that ignorance about hemp and the interests of big industry are obstacles. Funtané concurred. “There are a number of powerful industries, like the textile or steel industries, which are not interested in the potential of hemp and won’t let it steal markets from them,” he said. Hemp can be used to make components for the car industry, and durable insulation material is made from hemp fibre for the building industry. So Europeans can benefit from hemp but Americans can’t? Why do we let our legislators make policies that undermine our safety? Marijuana is a far less-harmful and less-addictive alternative to alcohol and we could prevent a lot of the harm that alcohol causes by giving people the right to choose marijuana instead of alcohol. The reason people can’t enjoy the medicinal benefits of cannabis is because the big pharma companies have sought to monopolise the potential profit from suffering. Using natural remedies is no good for business. Therefore, big pharma companies bribe governments to ban natural products in favour of the dangerous chemicals that they produce. Which is best for the patient is immaterial. What’s important is that big pharma makes a profit for its shareholders. Don’t you just love capitalism. It’s clearly the best option for all nations.